Video streaming was considered as the ultimate future long before Netflix became a global hit and YouTube dominated the internet with its huge content library. 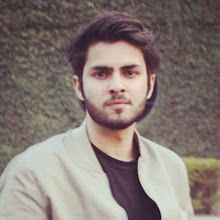 The idea killed well established businesses like Blockbuster and had set trends which were loved by everyone with an internet connection. Apart from developing a culture, the video streaming industry will be worth $70 Billion by 2020 but looking at the insights provided by Statista’s Digital Market Outlook, spread throughout years, analysts also predict that there is still a long way to go. In fact, while we think that there are so many streaming platforms around us that provide an ample amount of things to watch, yet the particular market is far away from being saturated. In America, four among ten people have subscribed to a streaming service whereas in Europe, the ratio drops down to two by ten, so this actually is an ideal time to play your move and change the scenario of streaming industry for better. And may be that is why it has also convinced tech giants like Apple to come up as a fancy competitor against Netflix and Amazon Video, etc. with Apple TV+, launched earlier this week. So before you enjoy your next favorite season or film online, made in any part of the world, here is an interesting four-year forecast proving that streaming service needs to take big steps in all parts of the world. 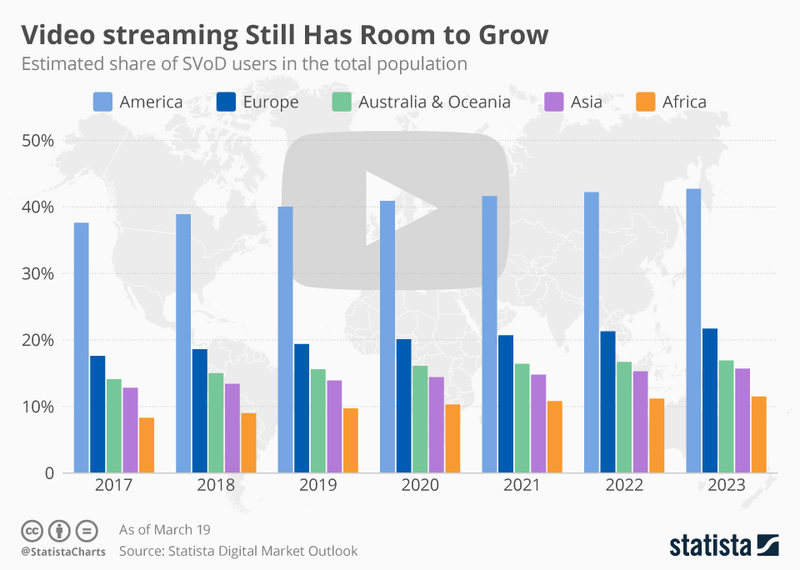 The above chart from Statista highlights the estimated share of 'Subscription video on demand' (SVoD) users in the total global population. Read Next: Is the Internet Becoming Less Free?